To combat the pollution load from coal power plants, the Ministry of Environment, Forest & Climate Change (MoEF&CC) in December 2015 announced emission control standards for coal-based thermal power plants. Existing plants were given two years (up to December 2017) to comply with these revised standards. On the other hand, plants commissioned after 1 January 2017 had to comply from the start of their operations. CSE has been engaged with various stakeholders to understand the challenges and solutions to ensure a smooth transition to meeting the new environmental norms. The industry however, raised several objections about the new standards leading to a delay in their implementation. Notwithstanding the MoEF&CC’s order, CEA presented a plan with compliance schedule ending December 2022. 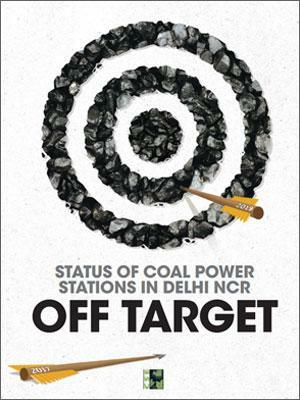 With the Supreme Court involvement last year, the deadlines for implementation have been accelerated to December 2019 for power stations within the 300 km radius of Delhi NCR. CSE therefore felt it necessary to make an assessment of the current scenario to understand if the plants in the region will be able to meet the December 2019 deadline.